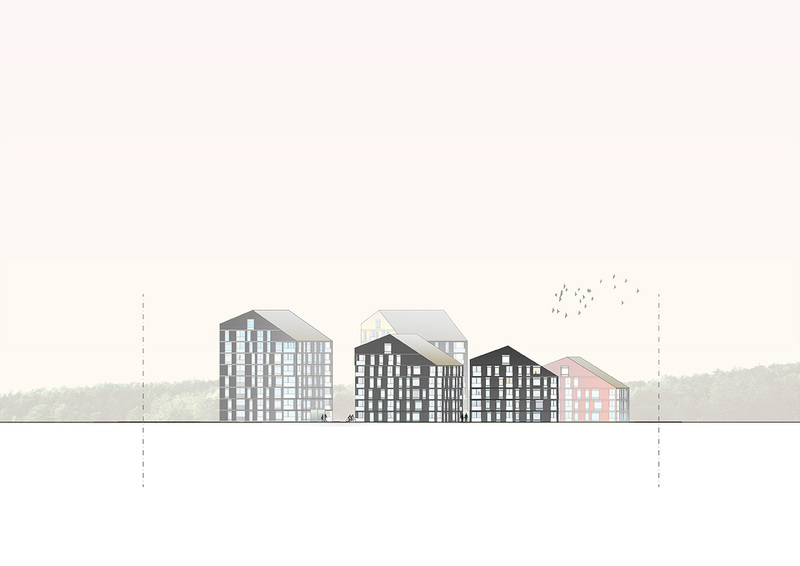 The competition sought innovative proposals for new apartment buildings for a new residential area in Kokkola, Finland. 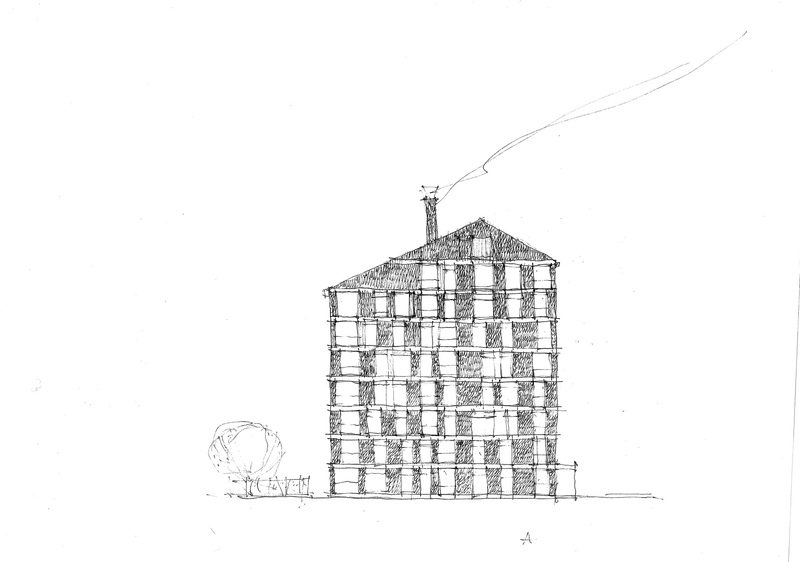 The competition proposal from OOPEAA takes into account the natural characteristics of the construction site. The apartments have open vistas towards the sea, forest and park area. 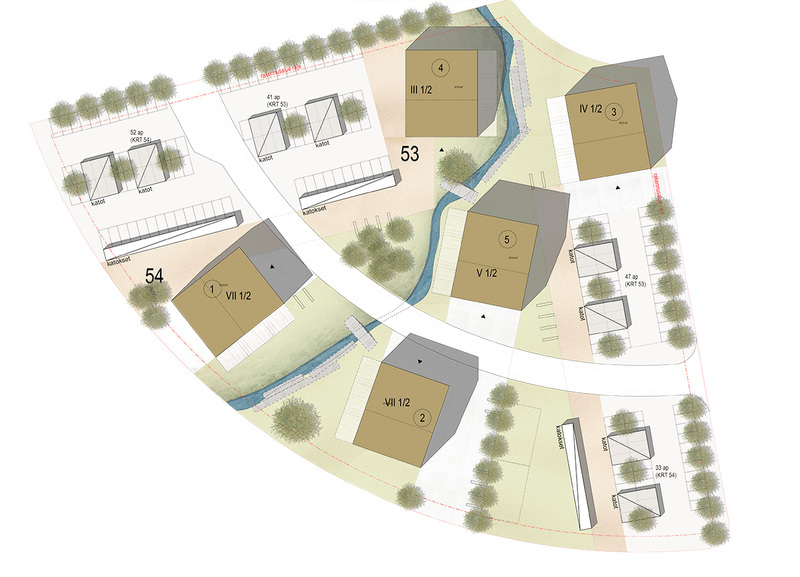 The five housing blocks are grouped in the water ditch running through the site. The height and orientation of the houses is fine-tuned so that many apartments have a view of the surrounding landscape. Courtyards shaped like a park offer the residential blocks a comfortable relax area as well as a pleasant view, also from the first storey. The buildings are 4 to 8 storeys. They are made with prefabricated elements assembled in factory conditions. The material composing the modular elements is cross-laminated timber (CLT). Prefabrication allows a high quality of the modules and faster installation schedules avoiding the problems that construction phase usually deals with. The facades are cladded with black-painted timber slats, while towards the courtyards different colours mark each house. In average, the blocks account for a total of 6 storeys, with 180 residential units. The apartment sizes are efficient and compact, ranging from 35 to 65 m2. Ideal new inhabitants are young couples, students and single families, but also seniors. Some of the apartments located on the first floor are fully accessible and have a small own yard.